for a world of peace and nonviolence! 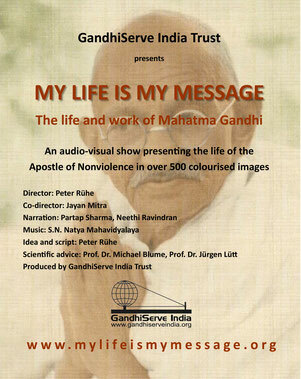 The GandhiServe Foundation is registered in Berlin/Germany. It received charitable status as per §5 - 1, No.9, KStG - Germany in 2002. The foundation aims to spread the ethics of nonviolence by disseminating information about and popularizing Mahatma Gandhi's life and works. 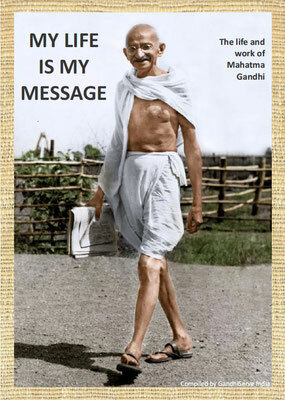 GandhiServe Foundation hopes to help alleviate conflicts and inspire others through making available media and resources on Gandhi's life and thoughts. 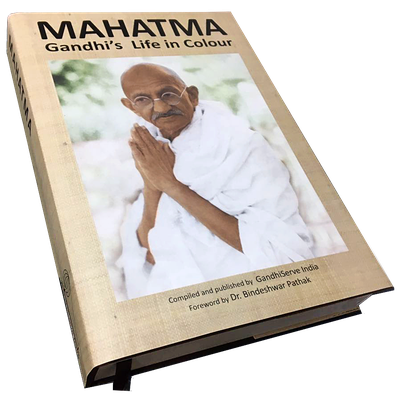 The foundation executes educational and research projects on the life and work of Mahatma Gandhi and the ethics of nonviolence. Furthermore, the foundation acts as Mahatma Gandhi Media and Research Service and operates the Gandhian social network GandhiTopia / FB with its Mahatma Gandhi News Digest, the GandhiServe TV / FB channel and a well-frequented YouTube channel. 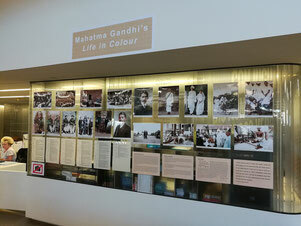 We believe firmly that Gandhi's message of truth, love and nonviolence is still relevant today. Or even more relevant than ever before, considering the ecological catastrophy we're facing, and the increase of different forms of violence in both personal and public life. The ethics of nonviolence, as practised and cultivated by Mahatma Gandhi, live on, regardless of national or political boundaries. §2 - 1: The purpose of the foundation is the promotion of science, cultural and historical research, and education. 1. Execution and financial support of both academic and non-academic research projects that identify and conserve original documents on and by Mahatma Gandhi. 2. Execution and financial support of such educational projects which propagate peace, the ethics of nonviolence and the memory of Mahatma Gandhi and his teaching.